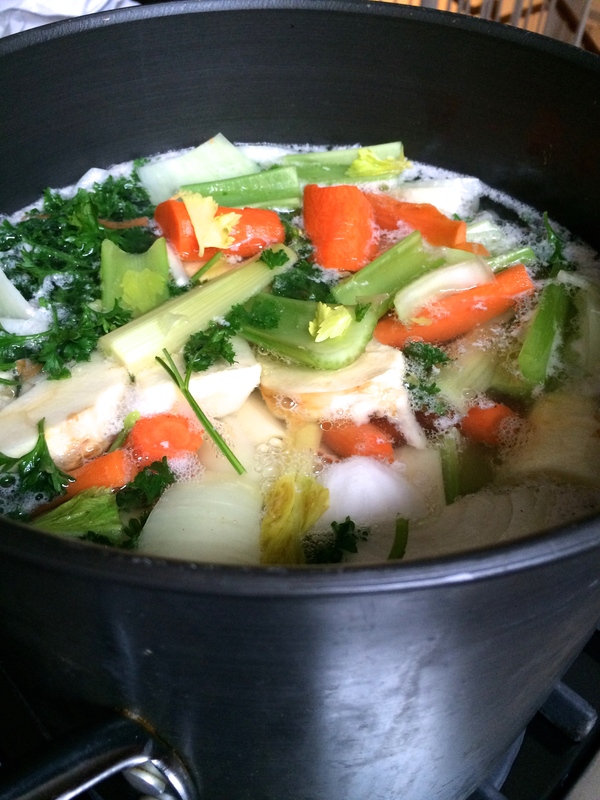 Last week, I decided to make a pot of chicken soup. I asked my husband to go to the butcher to purchase a soup chicken, which is often an old hen. Respect your elders people, because you are about to hear a tale touting the superiority of the older female. He ordered the soup chicken and the butcher asked if he wanted a regular chicken, or an old hen. Horrified by the thought of the latter, he opted for the chicken. After cooking the soup for several hours with lots of carrots, onions, parsley, parsnip and celery, the soup seemed thin and a little bit on the bland side. I put it in jars in the freezer to use another time. This week, he went back to the butcher and requested the old hen. Same vegetables, same cooking time. This pot of soup is so rich that it fully congealed after it was chilled. A thick layer of fat was skimmed off leaving me a deep golden soup that is full bodied. 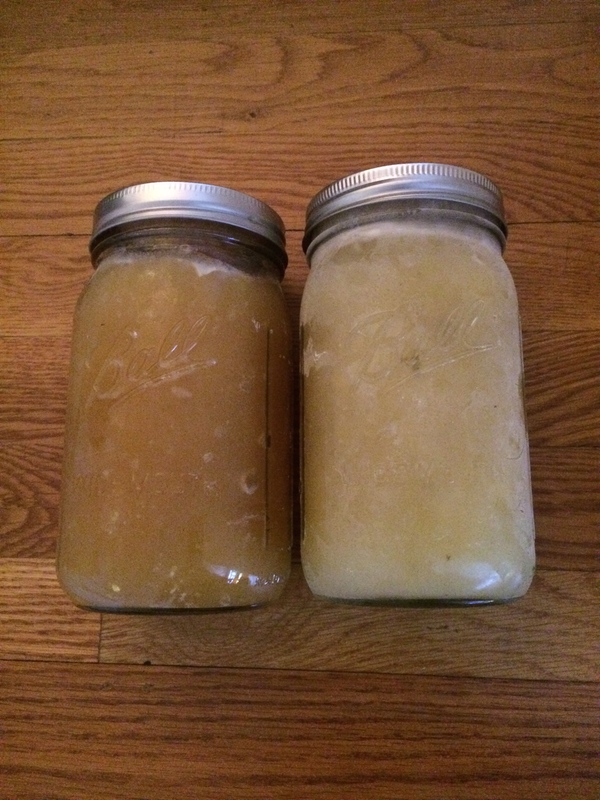 I placed it in the freezer next to the other stock, and the difference is boldly apparent. Forgive the bad photo, but a picture paints a thousand words! The “hen” soup is on the left. The quality of the ingredients makes all the difference in the outcome of the dish. As a young cook, I thought that meant using an organic, free range chicken to make soup. I may have gotten the organic part right, but the free range chicken, while superior for eating, lacked the fat and meatiness of the aged hen, which can be a bit tough and stringy after cooking. Should you make soup that turns out lackluster, there are a few things you can do to salvage it. 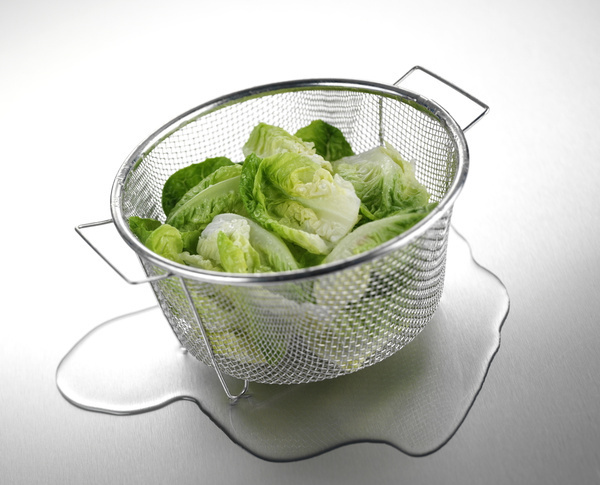 Reduce it: After straining out the meat and vegetables, boil the liquid until until it reduces by about 25% or more. This will obviously yield you less, but it will be more flavorful. Cheat: Add some chicken bouillon and cook it for a bit. It will give you some taste, but may make it a bit salty. Look for the best boullion you can find. Whole Foods carries some that are low sodium and made of more natural ingredients. You can also mix some boxed chicken stock into it to give it more taste. If it is really bland, freeze it in small containers and use it in place of cooking water for rice, vegetables and other things that might benefit from a little extra something. One man’s bland soup is another man’s tasty cooking water. A scientist from Sri Lanka has discovered a way to drastically reduce the calories in white rice, through a cooking technique. Dr. Pushparajah Thavarajah and his student Sudhair James claim that adding coconut oil to the cooking water can alter the digestable starchy components of rice, resulting in a significant reduction in calories. Apparently, the oil reacts with the starch in the rice, changing its structure. Chilling the rice helps foster the conversion of the starches, which remains even when the rice is reheated. We don’t know if the technique really works or not, but it certainly is worth a try. The experts suggest adding 3% of the weight of the rice in coconut oil to the boiling water before adding the rice. Once the rice is cooked, it can be chilled to further the process of converting the starches. Rice made in advance can be reheated, without affecting the results. Future studies with bread are underway. How often have you looked at our food photos and wished you could actually eat them? Did you know that we have another site called indigo jones eats where you can actually order our sweet treats to go? We focus on specific holidays, and with Easter and Passover just over a week away, we have a delicous offering ripe for ordering. Passover begins April 3. 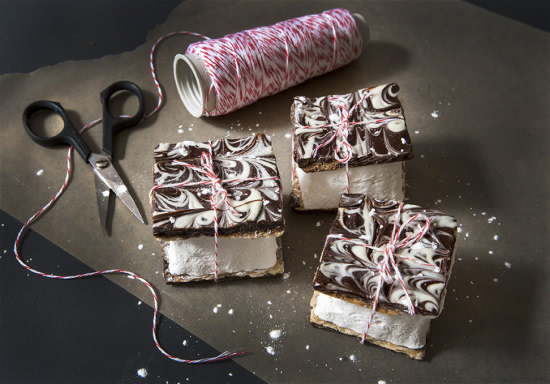 These matzo brittle s’mores are so addictively good that you won’t even realize they are Passover treats. 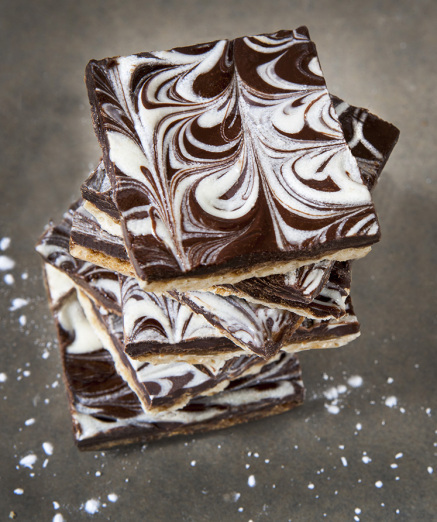 We also offer just matzo brittle, a caramel and marbelized chocolate confection that you won’t be able to resist. 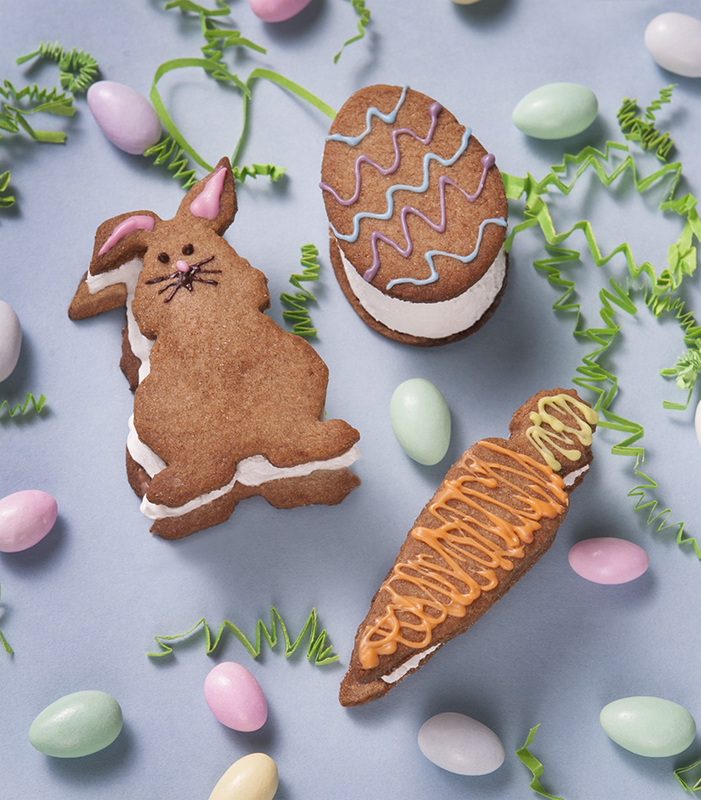 For those thinking about Easter baskets, how about a trio of homemade s’mores in whimsical shapes? 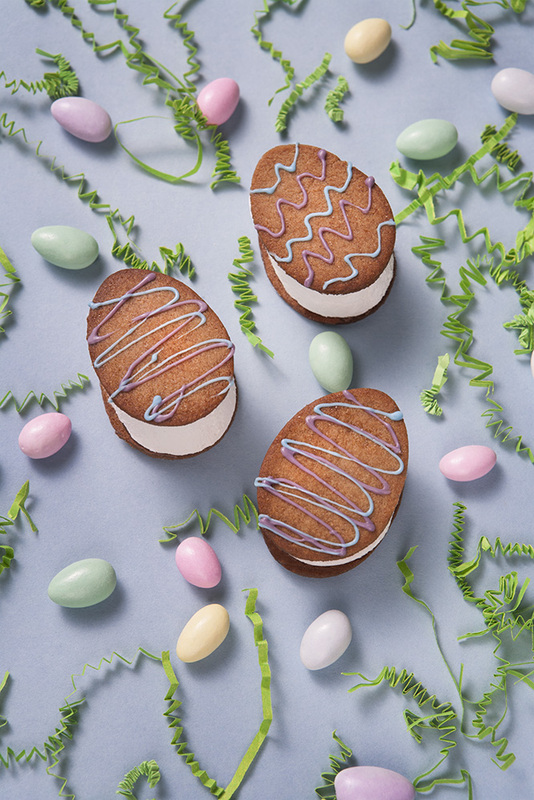 Why dye hard boiled eggs when you can have decorated egg shaped s’mores? Looking for something special? Just ask! If we can do it for you we will. And of course our classic s’mores are always available too. For more information, check out indigojoneseats. To ensure holiday delivery, please place your order by March 27 if possible. This one might sound like a no- brainer, but if you aren’t already doing it, you really should. When roasting something in the oven, or just reheating it, cover your baking sheet with aluminium foil or parchment paper. 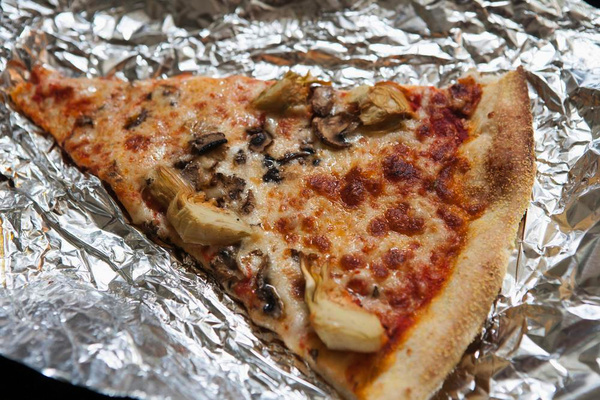 Either spray it lightly with cooking spray, or buy easy release aluminium foil to avoid having the food stick. This saves so much clean up time and effort, that you will wonder why you hadn’t been doing this all along. When you are done, toss the foil or paper in the trash and rinse the pan in hot soapy water. That’s it. No scrubbing, no scraping, no greasy film. I am always looking for something new to do with shrimp, especially something that doesn’t involve them being served over rice or pasta. 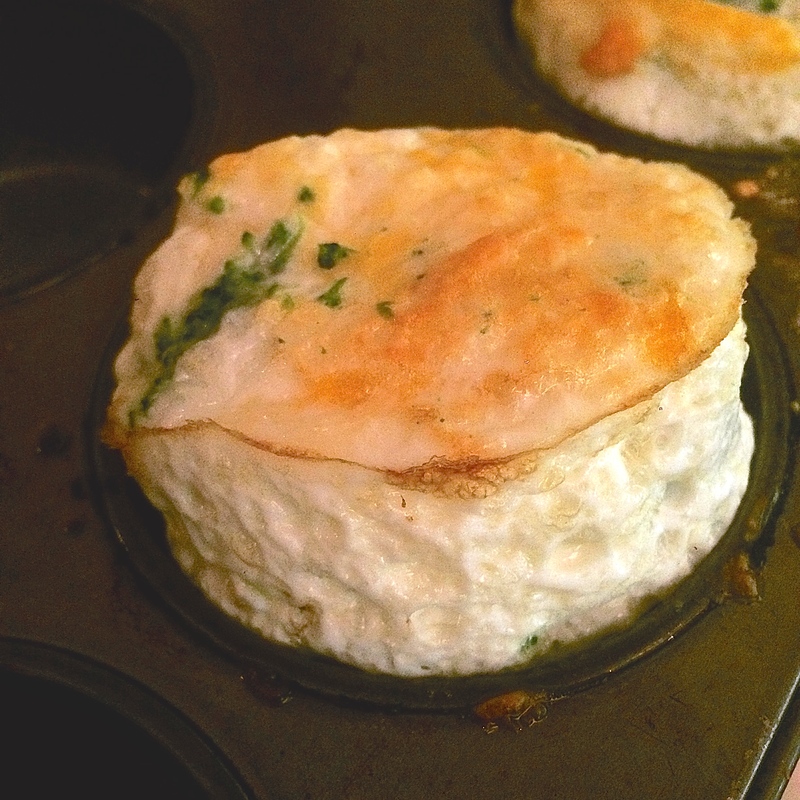 I stumbled upon a recipe a few weeks ago, and apparently, how I remembered it and what it actually was were not quite the same. I guess that’s what makes an unrecipe work so well. It is a combination of delicous flavors that are prepared to one’s liking, rather than measuring out specifics. This base is a wonderful vegetarian dish on its own. The cannelini beans give it some heft and are a great plant based protein. The garlic and onions add lots of flavor and the kale is healthy addition adding color, taste and lots of vitamins! Saute a small diced onion and a couple of diced garlic cloves in olive oil until translucent. Season with salt, pepper and a pinch or so of red pepper flakes, depending on how spicy you like your food. Add some diced tomatoes and cook until the sauce starts to thicken a little. You can use fresh or boxed tomatoes. ( We used a box of Pomi diced tomatoes.) Add strips of kale and a box or can of drained and rinsed cannellini beans, or other white beans. Simmer until the kale softens and the beans are fully heated through. Adjust the seasonings and sprinkle with a big handful of fresh, chopped basil. In the meantime, shell and devien about a pound of shrimp. Pat dry and season with salt and pepper. Heat olive oil in a pan until very hot. Cook the shrimp until slightly browned and opaque. This should only take a minute or two on each side. 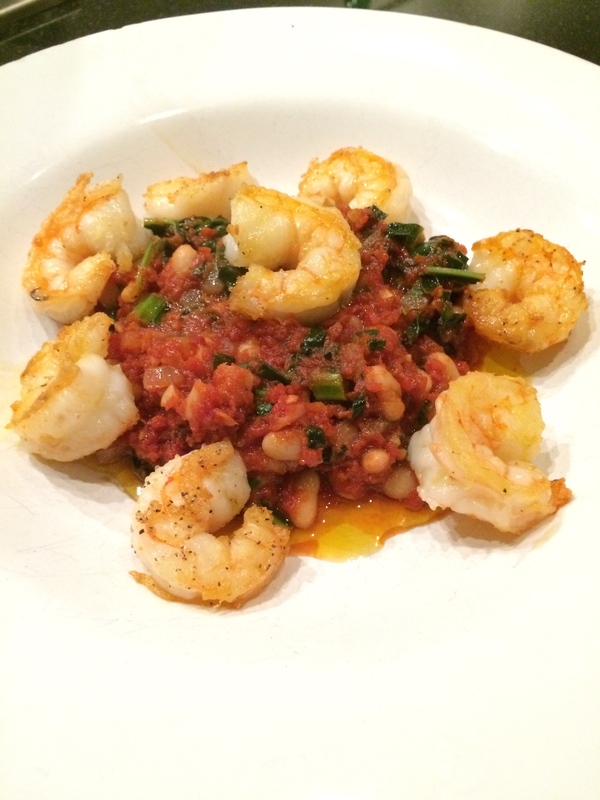 To serve, spoon the bean mixture into bowls, and place the sauteed shrimp on top, and enjoy! Seaweed is a staple in the Japanese diet, but did you know it is good for more than just holding your sushi together? This sea-vegetable is nutrient dense and low in calories. It also is thought to have health benefits that can help you lose weight, or cure a hangover. Scientists at University of Newcastle have found that a substance called alginate found in seaweed can limit the body’s fat absorbtion by up to 75%. Seaweed is a great source of antioxidents, calcium and a broad array of vitamins. It is also high in fiber, which helps you to feel full and more satisfied after eating, and aids in proper elmination. 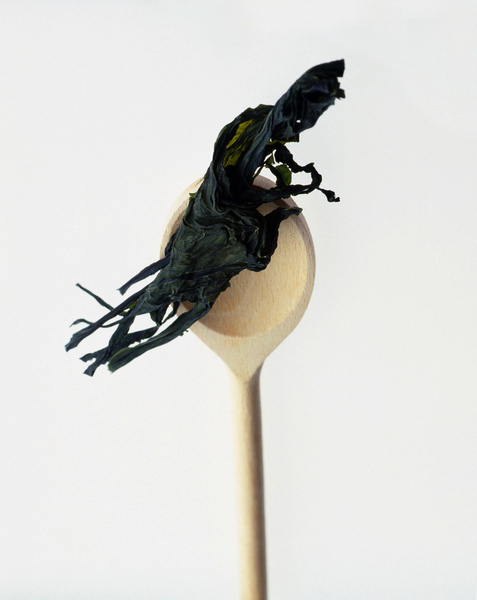 Eating seaweed can also support healthy thyroid function, due to its high iodine content. About 2 sheets of dried nori can give you the recommended daily dose to balance the hormones that the thyroid produces that regulate weight, energy and metabolic levels, and mood. It can also help regulate estrogen and estradiol, hormones responsible for the development of healthy sexual organs, and can be attributed to a reduction in the risk of breast cancer, control PMS and improve fertility issues. Seaweed also contains a high level of magnesium, which is depleted after a night of heavy alcohol consumption. Snacking on seaweed the next day can replace some of the lost nutrient and help minimize a hangover. Seaweed is an algae, and comes in a variety of types. Most commonly consumed are the brown type such as kelp and wakame. Nori, the type used for sushi, is considered of the red variety. In addition to eating sushi, try ordering seaweed salads made of hijiki or wakame, or snack on dried nori sheets, which are available at many specialty foods supermarkets, such as Whole Foods and Trader Joe’s. Carwash skirts are taking over the runways for fall, with their flirty flaps adding movement and a peek of thigh to otherwise basic skirts. 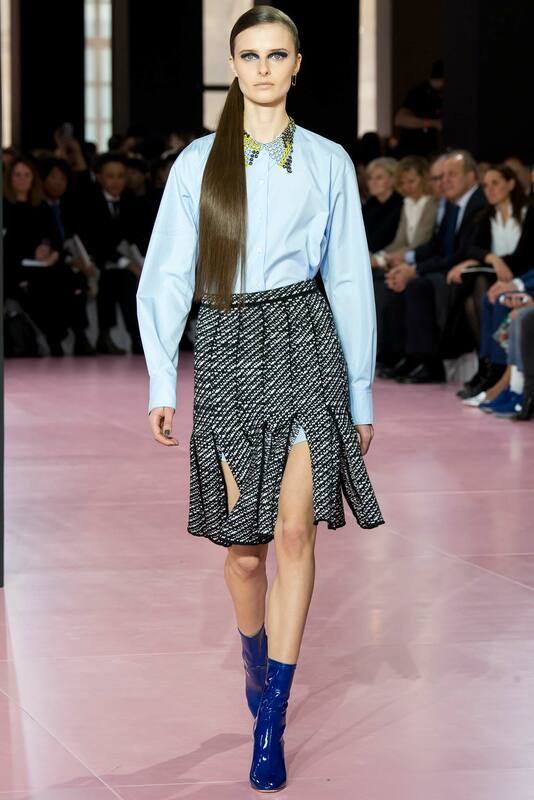 Christian Dior showed the classic carwash style in graphic black and white, paired with a crisp shirt peeking through the slits. 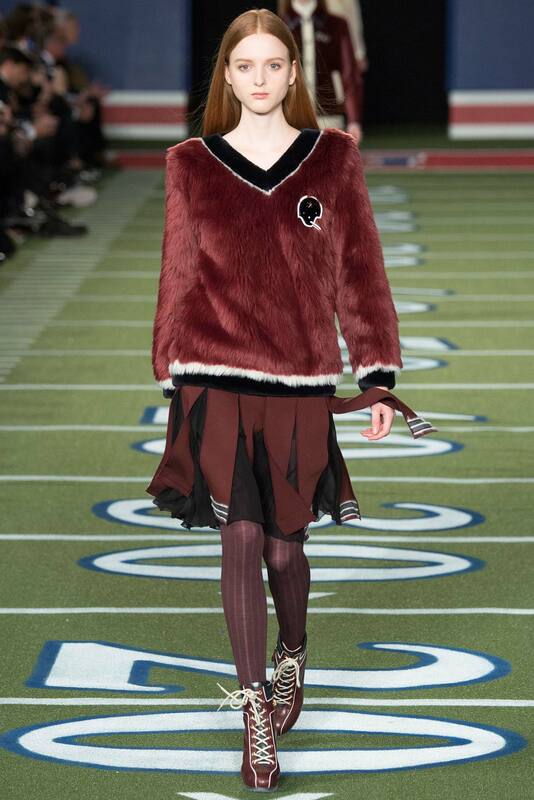 Tommy Hilfiger took a preppy approach to the look with a cheerleader skirt and fur sweatshirt in shades of burgundy. 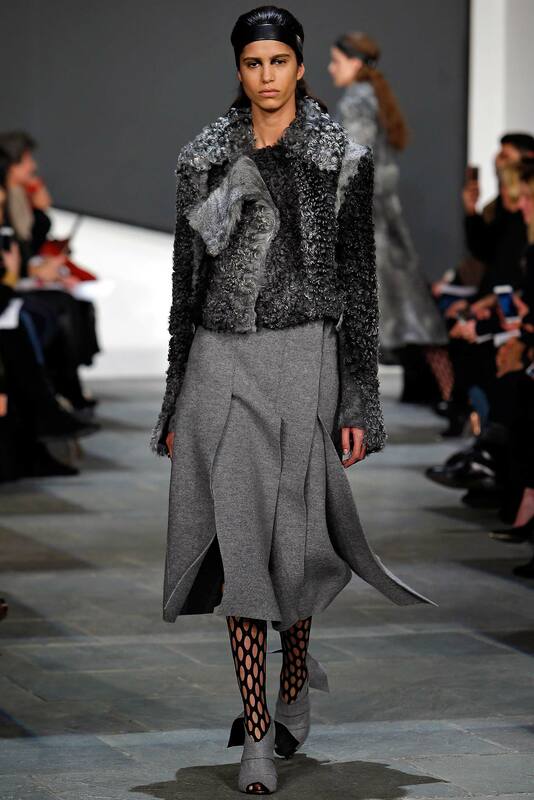 Proenza Schouler layered grey flannel flaps for an asymmetric version of the trend. Micheal Kors inserted sheer panels for a more demure variation on the theme. 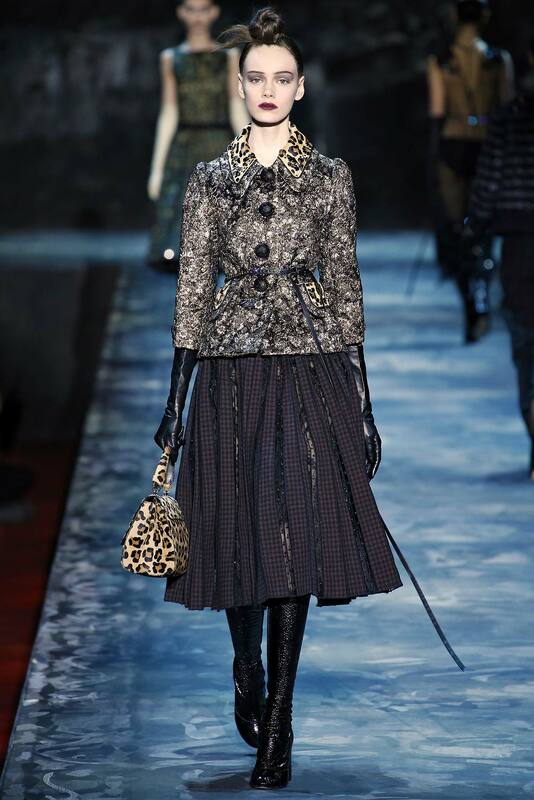 Marc Jacobs also inserted sheer panels in his ladylike ode to Diana Vreeland.